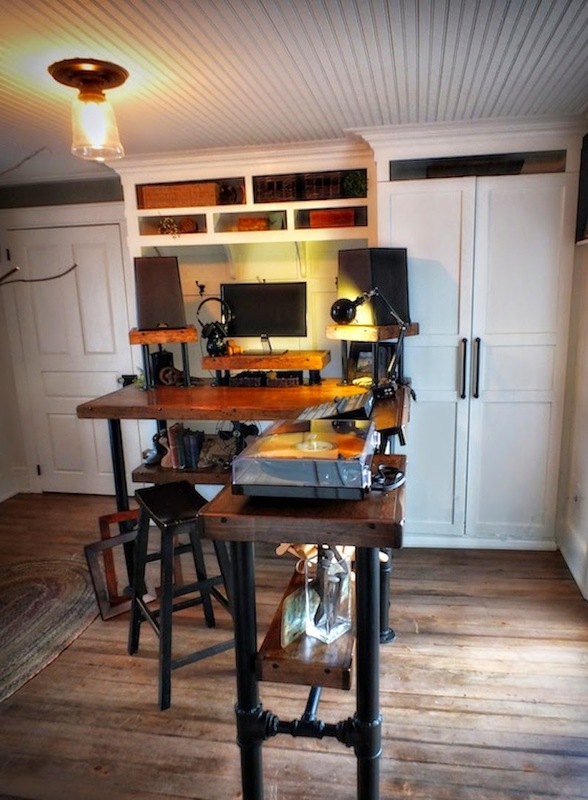 Description: Our son is going to study Audio Engineering in September, he needed some new desks, we decided to build him 2 Industrial style desks. We required desk tops for these pieces, desk tops that could be cut, distressed and finished in our choice of stain. 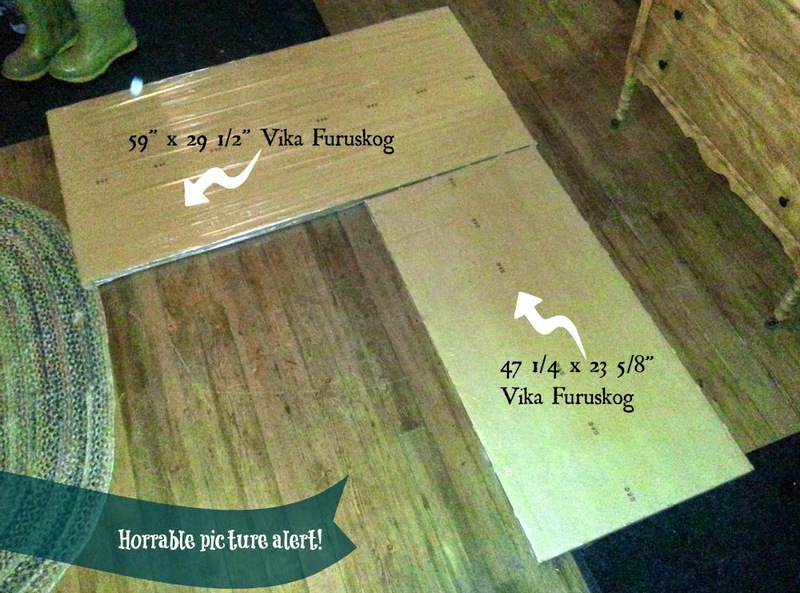 Enter, VikaFuruskog Tabletops! The size was perfect to fit on top of our steel skeletons. The table tops were too thin to be considered Industrial looking, we added pine skirting vertically all around the table edges. 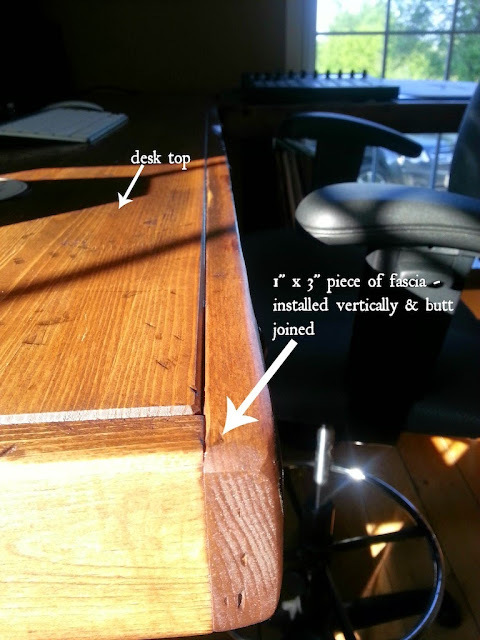 One of the desks needed to have a tilting top, these desk tops are solid pine and cut like a dream. 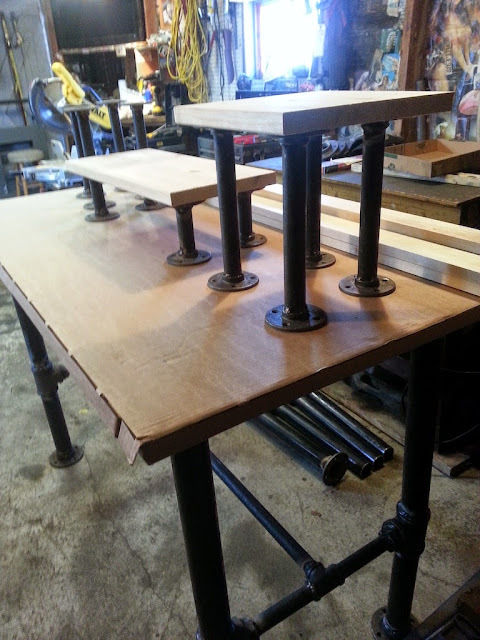 We achieved the tilt with drafting table hinges. The upper shelves on this awesome desk are made with VikaFuruskog Tabletops, again this solid pine can be cut and modified at will. The finishing process was so fun, again the table tops are solid pine, we beat on the tops with rebar, screws, hammers and a torch for a burn effect. We then applied a stain and a protective finish for a nice satin look. 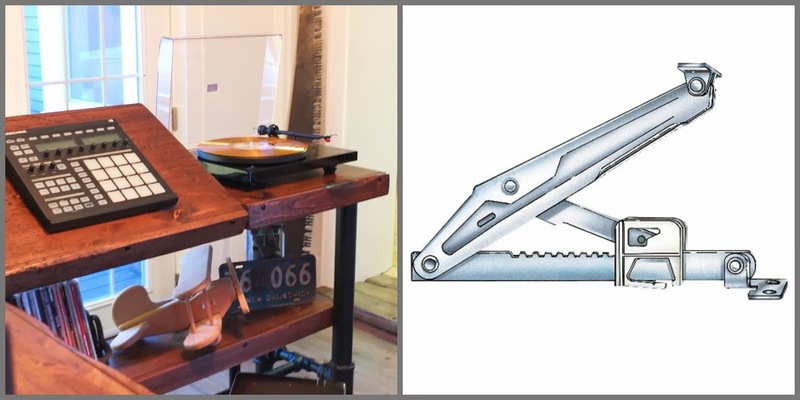 This rustic well used look was perfect for the Industrial Desks! See more of the industrial style desk.